Check out our new and used dealership in Paducah, KY. 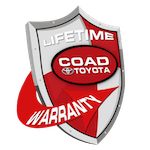 Check out our selection of genuine parts for sale and advanced Toyota vehicles for sale in Paducah, Kentucky. Explore our selection of new Toyota cars, trucks, and SUVs for sale. We offer a broad selection of service options as well, so be sure to explore them online. You can schedule service online today through your phone or computer. It's just a simple 14-minute drive from Washington Street to our dealership. Start by hopping on Washington and then turn left onto South 3rd Street. In 5 miles, make a right onto Coleman Road and then turn left onto Mike Smith Drive. After that, our dealership will be located on your right! If you get lost along the way or have questions, you can contact us for directions. Check out our amazing service options in Paducah, Kentucky. We are happy to help you explore automotive repairs and services online and in person. This is why we've made genuine parts available online alongside auto services like oil changes and brake pad replacements. We urge you to look at our service specials and take care of your routine maintenance requests. We look forward to keeping your wheels on the road with all of our routine maintenance requests and options. Get in touch with us the next time you need a new set of tires or a battery replacement in Paducah, KY.
Our finance department in Paducah, Kentucky will gladly assist you with your car search. We offer help to our customers by walking them through our secure credit application and various online tools. We'll help you calculate your payments or find the value of your vehicle with the simple push of a button. All we need from you is some information, and we'll take care of business in Paducah, KY. Find car credit online with our team today––we're here to help.